1. 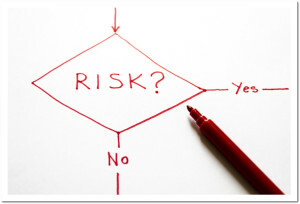 Perform a risk assessment on your products. Performing a risk assessment of your products will allow for the stability of the material to be evaluated. Products with little or no stability data, or data which shows a great level of impact to products when exposed to out of spec conditions in transit, could signify the need for additional controls to be put into place. Products with relatively robust stability data may require a lower level of control to be implemented. Also to be considered is the relative value and quantity of the products being transported. Products with high value and little reserve stock may also be potential indicators of the need for a shipping lane qualification to be performed. 2. Perform a risk assessment on your shipping solution. Performing a risk assessment of your shipping solution will reveal the level of controls to be implemented in transporting your product to its final destination. Solutions with stringent testing criteria may perform more effectively, and for longer, than solutions that have not been tested as strictly. Also, looking at the level of difficulty involved in handling, and as needed, intervention may indicate the need for additional controls or qualification. Evaluating the chosen shipping solution will go a long way in determining the level of controls put into place for its transport. 3. Perform a risk assessment of your processes. Performing a risk assessment of your processes will allow you to identify gaps and areas which require more focus. These “weak spots” in the process may include segments in transport where the products are in the hands of your service providing partners. The more complicated the process and the movements through the supply chain the more relative the shipping lane qualification becomes. Simple movements utilizing overnight shipping services, for example, may be deemed as acceptable without performing the qualification. As we see, there are many factors which come into play when determining the need to perform a shipping lane qualification for the transport of your pharmaceutical products. A shipping lane qualification is one way to ensure that your product, within your shipping solution, and using your partners and processes, will maintain its integrity through the chain and arrive as viable as when it was tendered. A shipping lane qualification can go a long way in proving that all of the components and processes will perform as expected with a high degree of certainty. Now in his eighth year at BioConvergence, Travis' current role focuses on operational process improvements and implementations which provide benefit to both BioConvergence and its clients. He also serves as the Cold Chain Subject Matter Expert for Operations. 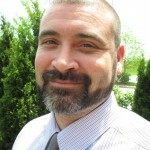 Travis started his career in the pharmaceutical industry working with a sterile filling facility in the late 90’s. After the company was bought out, he took a short hiatus from Pharma during which he served as Warehouse Manager at a local production facility before returning to the industry in 2008.